They are provided with a cap, a stipe, and gills. The gills are almost never decurrent. They possess a veil and a cortina, made up from a cob-webby tissue, which may be more or less abundant. They produce a rusty-brown spore deposit that stains the gills of mature fruit-bodies, and also often the cortinal debris on the stipe. Under the microscope the spores are brownish and verrucose. The gills rarely present cheilocystidia. 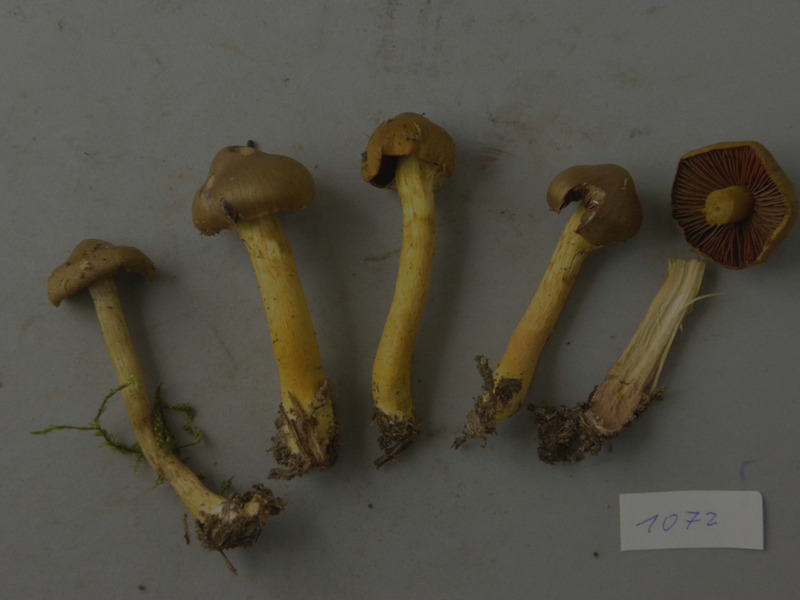 Cortinarius is the largest genus among the macromycetes with nearly 2000 species names published for Europe. As there are many synonyms, the number of real species is lower, however, probably the order of 500.